We love to ride country roads. Our destination is not really important; it's the scenery along the way that makes the trip enjoyable and worthwhile. In fact, we don't always know where our ride will take us. (Sometimes that's intentional; sometimes we're just plain lost . . . well, not according to JD, but that's another story!) Now and then we'll round a bend in a narrow country road and see a spot like this one . 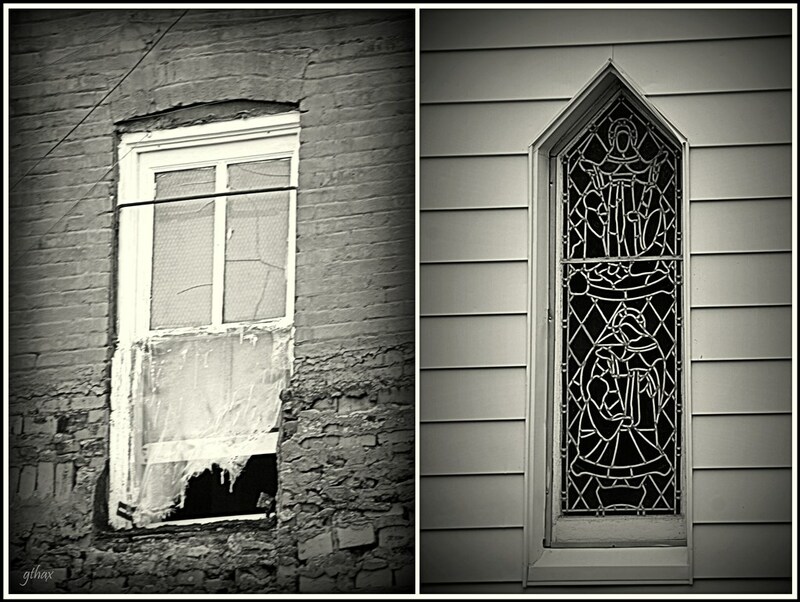 . . a place that makes you want to stop - and at least try to capture the peace and beauty through a camera lens. The Psalmist talks about The Shepherd leading us to green pastures and still waters. I think maybe He can restore us down quiet country roads, too. no matter how tall your grandfather was." One of the simple country pleasures that fascinates me is a spring of water that bubbles from the ground - like this one in the family pasture. The water is cool and clear and as you can see, the growth around it is lush and green. When we visited this spot recently, we couldn't see the source because of fallen limbs, but I do know the ultimate source. According to Psalm 104:10, He sends the springs into the valleys that run along the hills. A perfect, fitting scripture for this beautiful spot in the woods where John David played as a boy. I am so thankful that God sends "springs of living water" into the valley times in our lives. This year has been filled with much sickness and the death of my father-in-law and my oldest brother. Several friends have also passed on since the beginning of 2013. But in the midst of it all, God has made His presence very real. He has not failed us! He will not fail us! He is our Source of life and strength! Good things have happened, too! We have enjoyed wonderful times with our grandchildren, taken a few short road trips, and enjoyed some restful days. Family and friends add joy to our lives, and we realize just how blessed we are. So many - some of you bloggers - are carrying much heavier loads. Life has its ebbs and flows, but we remember Who is in charge. "Many things about tomorrow I don't seem to understand. But I know Who holds tomorrow, and I know Who holds my hand." And I know that His grip is better and more secure than mine! I have not blogged much at all recently, but I am not leaving blogging behind permanently. So at any time I may pop in again! Have a blessed summer! Remember . . . and Give Thanks. I did not plan this picture; in fact, I had forgotten that Daniel, a local pastor, faithfully carries the Cross up and down the streets of our town on Good Friday. So, I was abruptly taken aback for an instant when he suddenly came into our view as we stopped at an intersection yesterday. I like the way the pic turned out. Can you think of a more symbolic icon of American culture than McDonalds? And notice the American flag. I am reminded that Jesus walks among us - faithfully . . . oh, so faithfully. To those of us who have accepted Him as our Saviour, He says, "Stay close to me . . . listen to Me . . . trust Me . . . obey Me . . . share Me." And to those who do not yet know Him, He pleads, "Come unto me . . . I will give you rest . . . invite me in . . . repent . . . find life." I can't think of a better time to draw closer to Him, the One who carried our sins all the way to Calvary! Even There . . . I was struck by the intense emotions portrayed in this unique sculpture in Galveston, TX, along the beautiful Seawall. In 1900 more than 6000 residents of Galveston Island were killed in the great storm that swept across the island. This beautiful piece honors those who lost their lives and those who began work the next day to rebuild Galveston. I am reminded that we still need to reach up when storms come into our lives. Love my "new" birdfeeder . . . and the birds do, too!! Note to my blogger friends: Are any of you having trouble with Blogger? I am very frustrated! I am not able to change the format on some elements of my blog . . . such as fonts and color on my blog title. Any suggestions? I'd like to resume blogging but not until I can make everything work again. It really is true: you can find beauty if you look for it! And you can prove it if you keep your camera handy! 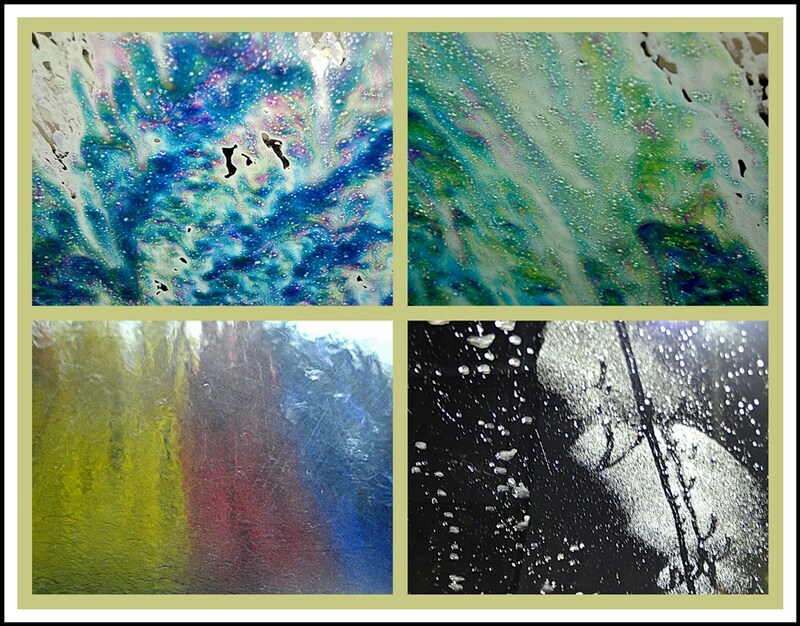 I took these pics inside the car wash a few days ago and love the colors and textures. Lord, help me live a balanced life . . .
seeking first your kingdom . . .
keeping the main thing the main thing . . .
enjoying the blessings I have . . .
reaching out to others . . .
She is a century old. So many memories they hold. Has not grown weak or cold. Is not built on shifting sand. All obstacles it does withstand. It is not rude, it is not self-seeking, it is not easily angered. HIS LOVE NEVER EVER GROWS OLD!! He is an awesome Creator . . . Lover of Beauty . . .
and His glory shows up everywhere! And as I smiled, I thought: I think there is a sermon or song or two, an analogy, a lesson in those lines! "scars are a sign of healing"
I also know that I must not be critical of those who have not yet been able to "praise You in this storm." I'm certainly not the poster child for this kind of faith, but I'm leaning and learning! I'm thankful that "I know the Master of the winds. I know the Maker of the rain." And by way, Em knows Him, too - in a very real way! I know that He is in control. And that's where my joy comes from! Thanks, Emily, for a priceless reminder! Life's journey is filled with. . .
A traveler experiences . . . The trip affords . . .
Glimpses of where we are going. A Guide is available . . .
Who never leaves our sides. We can be assured that . . . The Mountaintop will be worth it all! An awesome sight . . . an amazing example of "being on time"! But I can think of One whose infinite faithfulness cannot be surpassed . . .
One who is always on time . . .
One who will never fail us! I'm glad I know Him and He knows me! We followed our son's black Suburban over 4000 miles through 12 states! It was the best of times! I took this pic as we were leaving "our home" near Jackson, Wyoming, with our hearts full of gratitude for God's blessings and presence as we enjoyed His incredibly awesome creation. I'll be sharing more of my photos in the days ahead. I'd like to share something I read this morning that spoke to me. It's too good not to share! The Hebrew word "fast" means to cover the mouth. In fact, a fast of words is one of the fasts in Isaiah 58. Isaiah 58:9b lists not pointing fingers in judgment and not speaking malicious words as conditions of great blessings. "Immediately I heard in my spirit, 'No, you are the one with the attitude.' I wanted to fall to my knees on the sidewalk, crying out, 'I am so sick of me!' I know how Isaiah felt when he told God, 'Woe is me! I am ruined! For I am a man of unclean lips, and I live among a people of unclean lips' (Isa. 6:5). O God, take a coal from the altar and purge this wicked heart of mine. God showed me that He was dealing with a root of pride (Isa. 57:15, 1 Peter 5:5-6). I was puffed up, with no sense of my own spiritual need. "I struggled for a while in this fast of words in what felt like hand-to-hand warfare, but God softened and sweetened my heart. After that season, I felt like a dog in a yard with an invisible electric fence. Every time I opened my mouth to say anything critical, I would get a zap from my loving Father. I reviewed my prayer notebook and was amazed at how many Scriptural insights God gave me during that time. God was being faithful to reveal more of Himself. "Ask God if He is leading you to do a forty-day fast of critical, judgmental, negative, complaining, gossiping words. You may be amazed what God will do through it." Thank You, Jesus, for helping us guard our thoughts so that our words also please You. "Keep your heart with all diligence, for out of it spring the issues of life" (Proverbs 4:23). It's more than a Boy Scout motto . . . I Want Those Cherries Now!